Home>New Songs>Allan Kingdom Songs> Allan Kingdom Dusts Off The Acoustic For "Jet"
Allan Kingdom's "Jet" finds the rapper getting mischevious. Allan Kingdom has been lying low, but that's not to say his work ethic has suffered. As it happens, he's simply recharging his batteries after an intense 2018 campaign, which found him putting forth a pair of releases in Peanut Butter Prince and Coming To America. 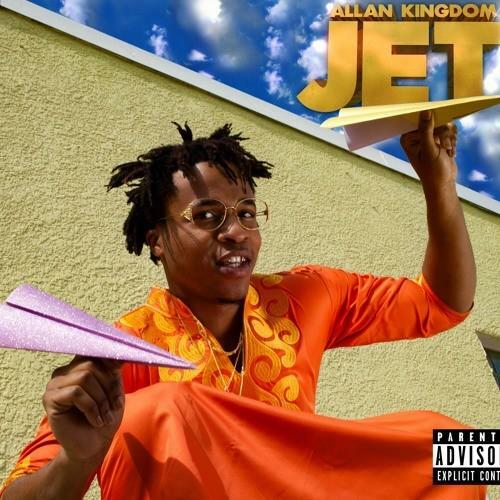 Now, Allan Kingdom is back with another drop, the acoustic and up-tempo "Jet." Arriving complete with a cheeky video, Kingdom alternates between singing and rapping, his voice channeled through an unsettling vocal processor throughout. The song itself is clearly meant to be lighthearted, given the video's outlandish nature. Anytime a green screen comes into play, it's likely that mischief will ensue. Kingdom's latest is no exception, as he gleefully requests to be called daddy while riding on a private jet. Should you be discovering Allan Kingdom as a first-timer, "Jet" might not be the most successful conversion method. Yet existing fans will likely appreciate hearing from the young Minnesota rapper once again, and having some fun while he's at it. SONGS Allan Kingdom Dusts Off The Acoustic For "Jet"